Albania is true rough diamond,- writes the German travel magazine ‘GEO De’. GEO is Europe's leading magazine for large reportage (in text and image) promoting destinations. 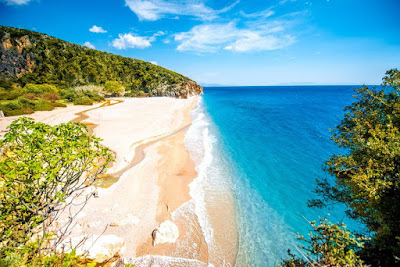 On their recently inspirations trends about destinations that tourists should visit in 2018 they have listed Albania among 10 places. The Albanian Riviera is becoming popular thanks to prestigious media and travel influencers who continuously promoted this unspoiled beauty. ‘In search of barely visited wild beaches, more and more tourists are invading the Balkans. Croatia has been experiencing a tourist renaissance for years, and neighboring countries such as Montenegro are also benefiting. No wonder, then, that the view is even farther south, and there is really a true rough diamond with Albania. The Albanian Riviera is still considered the Cinderella among the famous sisters, but that's what makes it so special. No large hotel complexes, hardly any tourist infrastructure and unspoiled coastlines awaken the spirit of discovery of all those who prefer authenticity rather than comfort.